That’s the beauty of having a business online; you have data aplenty to help you figure a lot of stuff out – fast. And if you aren’t using that data properly, well I’ll be blunt with you: you’re missing a trick, and your sales are suffering because of it. How can I be so sure? Because that’s the same position I found myself in. I jumped into the world of websites armed with confidence and an assured attitude about what I wanted to sell to my customers. How wrong I was! There is nothing that’s going to test your resolve when it comes to pushing ahead with your business than the first time you launch a product and find that no one is interested in buying it and your smart little sales platform shows you a big fat smug zero. 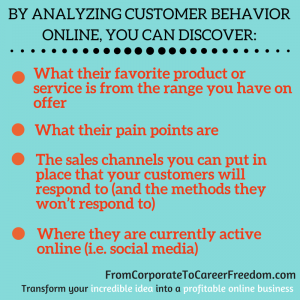 So in this blog post, I want to share with you some of the best and smartest data techniques for figuring your customer out. These techniques are easy (i.e. no focus groups or surveys, thank you very much). They will help you understand who your customer is, why they are interested in you, and what you should be selling to them. As I share each of the techniques that has worked for me, I’ll also give you some easy action steps that you can take for your business today. When it comes to using data, the word ‘accurate’ is important here. It’s vital to your business success. Because if you use accurate, factual information about your customer to tailor your message, brand and product, you have a higher chance of success than if you used guess work. Why survey small samples when you have access to data for potentially hundreds or thousands of potential customers? Using data, you can get an truer picture of all your customers’ needs, not just the ones who are willing to complete a survey. Let’s start by making it clear that when I’m referring to data, I’m not simply talking about Google Analytics (though that’s important). I’m talking in a much broader sense about the data that you – as a business – have at your fingertips that you might not even be aware of. In fact, it’s a huge shame that many businesses just aren’t taking advantage of the data they have available, or what it could mean to their business growth. Think about it: before the internet, at what other point in history has a startup business been able to capture detailed information on the behavior and demographics of their potential customers as they can today? So What Can You Learn About Your Customers? 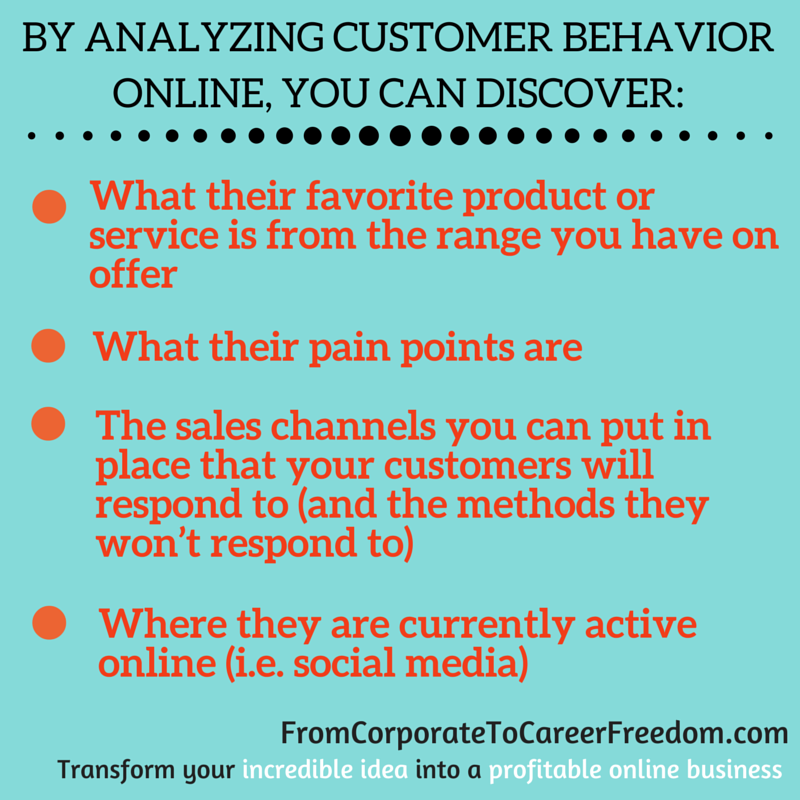 And I’m going to explain how you can track customer behavior in these four areas, plus I’ll give you some take-away action steps you can apply to your own business. It doesn’t matter what business you are in, if you have an online presence then you should be creating content on a regular basis – whether that’s a blog post, a video, a podcast, or even a series of images. Every time you make the effort to create new content, you have an opportunity to see how you customers react to that content, and that will tell you a lot about their needs. For example, if you are a styling consultant, you could create ten very different pieces of content, ranging from styling inspiration to budgeting, and look at which one is the post popular to your readers. Are your readers looking to you for inspiration? Or are they seeking more practical advice such as budgeting? Once you know this, it will help you tailor your services to fit your customers’ needs. Start using a tool such as bit.ly to shorten all the URLs you share across the web (i.e. URLs that link back to your content). Bit.ly is a free tool and it provides statistics on how many people are clicking on your links. By doing this, you can start to get a picture of your most popular content. Here’s a screenshot from my stats report from bitly last week. Make sure you share other people’s content as well as your own. 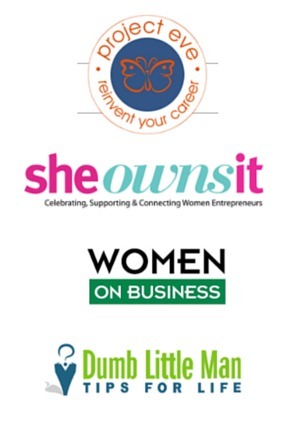 This isn’t just about forming relationships with other business owners. If you convert it into a bit.ly link before sharing, you can compare it to your own content. That will help you to discover what content is popular. This is a good way of figuring out what your customers want if you find that they don’t seem to be responding well to your own content. Do some guest posts on sites more popular than your own. This will give you a bigger audience to analyse, and you can track data such as the number of shares your article gets, and the types of comments you receive. Again, this will give you a good picture of what is popular with your target market, and what isn’t. Add an optional download for the content you publish, that’s only accessed when the user signs up. 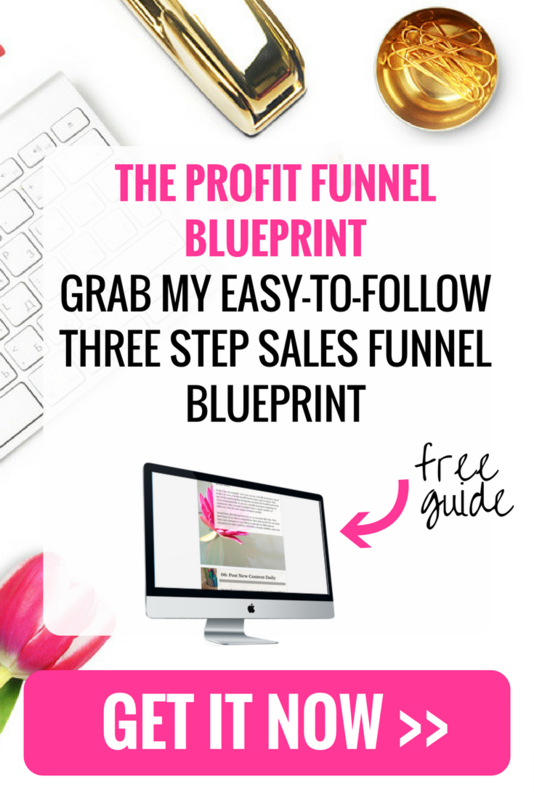 This is a great way to add new leads to your business, and by doing this on several pieces of content you can see what downloads are more popular than others. You do this by looking at the conversion rate of that download. If you are using something like Leadboxes from Leadpages this is very easy to do, as this is shown by default. Or you can do this yourself just by looking at the number of visits to that page and the number of people who signed up for the download. If you have an email list, then chances are you’ll be sending regular newsletters out to your subscribers. This is a great opportunity to find out what sort of information really resonates with your audience. After all, subscribers have already shown an interest in what you do by signing up to your mailing list, so if they aren’t opening and clicking on your newsletters then chances are you aren’t giving them what they are looking for. There’s a few ways you can overcome this problem and I’ll talk you through some ideas in the actions below. Experiment by including more than one link in your newsletter. You can track which link is getting the most clicks, and again this should tell you something about your audience and what they are looking for. You could try a variety of different links, for example: a link to a blog post, a link to a promotion, a link to an external recommendation. Spend time experimenting with different headlines (subject headers) to see which one works with your audience and results in the highest number of email opens. Most email platforms will allow you to send emails to a sub-section of your list, so you could try one subject line with 50% of your list and another subject line with the other 50% and see which one achieves the best open rate. For example, you could try a subject headline promoting a discount (25% off voucher in this email!) with a subject headline that gives advice (your top 10 styling tips this Spring). What are your customers more interested in – the exclusive discounts or the styling advice? Social media is a great way to find out what your audience is after. But to do it effectively you need to use some sort of automation tool to streamline your posts. I’ll talk more about that in the action steps. By studying your audience on social media, you have a great opportunity to find out more about your potential customers. People give away far more information about themselves on Facebook, Twitter, Instagram and Pinterest than they do if you simply gave them a survey to answer. You can find out how they interact with their peers, what information they like to share with their peers, and what sort of information makes them take action. You can also find out where your target customers are. If you get far more interaction on Instagram than Twitter, for example, then chances are that Instagram is a better avenue for finding new customers. This is another avenue where a tool like bit.ly can prove useful. When posting articles, links and videos, track the clicks by setting the links up in advance. I mentioned in the previous paragraph about the importance of using an automated tool to track user behavior. This is essential, and something that is often overlooked by new entrepreneurs. An automated tool will allow you to prepare and schedule your content in advance. Most importantly, it will give you vital information about how your posts are performing. The best tools on the market from my perspective are Hootsuite, Buffer and MeetEdgar. I just switched to Edgar (I’ve written a review here), and I’m finding the data incredibly useful as it’s allowed me to tweak my future posts to really tailor them to what my audience are looking for. If you have a Facebook page, do make sure you spend time looking at the insights tab. This will tell you what sort of interaction (clicks, likes, comments and shares) each of your posts received, and it will also tell you the size of the audience reached (the two go hand in hand – something I talk more about in this post). You can use this information to get a feel for what your Facebook fans enjoy about your page. Do you get more likes when posting images of your products? Or do humorous videos make more of an impact? Finally, if you really want to get a picture of your audience and their behavior, you need to regularly track how they spend time on your website. Are your customers drawn to particular products? Or particular blog posts? How long do they spend on your sales pages? If they exit swiftly, this could tell you that your pitch really isn’t working for your target audience. Are they drawn to images, video or headlines? What areas of the site interest them the most? 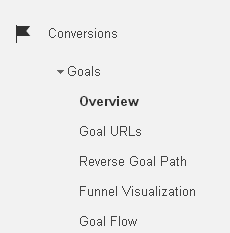 One of the most obvious actions you can take is to regularly check your Google Analytics. See how your web pages are performing. You want to look in particular at the bounce rate. 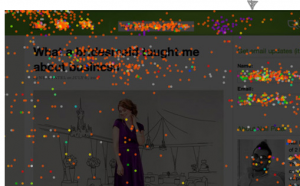 This will tell you a bit about whether your content was engaging enough to keep visitors on your site. You also want to be monitoring site conversions. You can set up one or many conversions in Google Analytics to see how many users follow the path you want them to take – whether that’s to read a particular piece of content, sign up to a mailing list, or make a purchase. 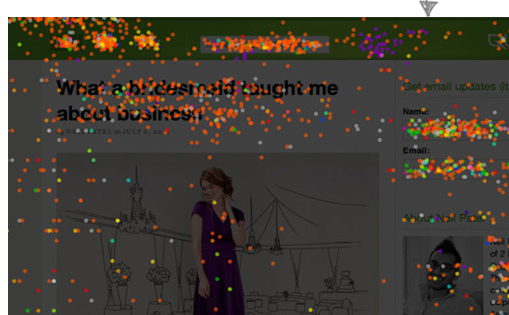 Use heatmaps to see where people are clicking on your website. One of the best tools on the market for this is Crazy Egg. It’s a great visual tool for understanding what areas of your site visitors are really drawn to. Use a tool such as Optimizely to run an A/B split test. This is a test where you show one version of your homepage (or another page e.g. sales page) to half your audience, and a different version to the other half. It will give you some great data to work with. You can test out different headlines, images and content, and see what works and what doesn’t work for your audience. Again, this is really going to help you to get into the mindset of your target customer. Rather than guessing what will make a great attention-grabbing image for your homepage, try several images out and see which one your audience responds to the most. There’s a world of opportunity out there for getting valuable data on your target customer. 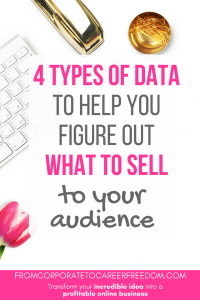 If you use that data wisely, it can help you make the perfect presentation and pitch to your audience. And that means sales. So never underestimate the importance of using and analyzing your web data. Most of these tools that are listed in this post are free and simple to set up. Don’t be afraid to try out some experiments or worry about whether or not you have the right technical know-how. Nice post, we like to use Optimizely too – a fantastic tool. We would like to encourage readers of your post to try alternative tools too. Our tool is Decibel Insight. We’re most similar to Crazy Egg (from the resources listed in this post), but offer a range of additional features. We are currently offering free trials, so it would be a great opportunity for you to weigh this up! Thanks Owain – I’ll take a look at Decibel – sounds interesting!